We are open an hour earlier in summer & certain holidays. Jungle Bowling for Family, Group, and Kids! 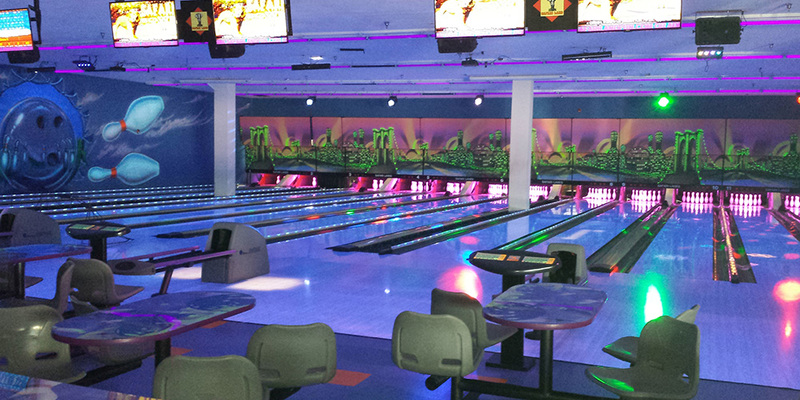 Check out Safari Lanes featuring 12 lanes of “Jungle” bowling that the whole family, or group, will go wild about! 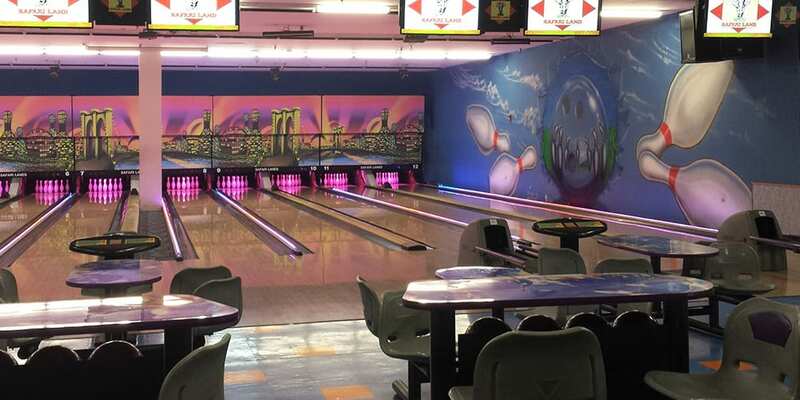 Bowling is open 7 days a week including Cosmic or Black Light bowling for some added fun – at no additional charge. 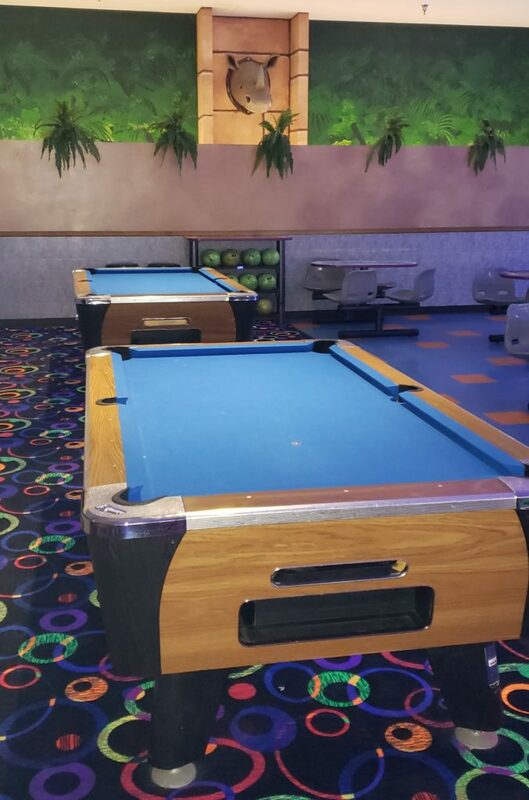 We also have kid’s rental shoes and lightweight bowling balls...along with lane bumpers and ramps for those needing a little assistance. 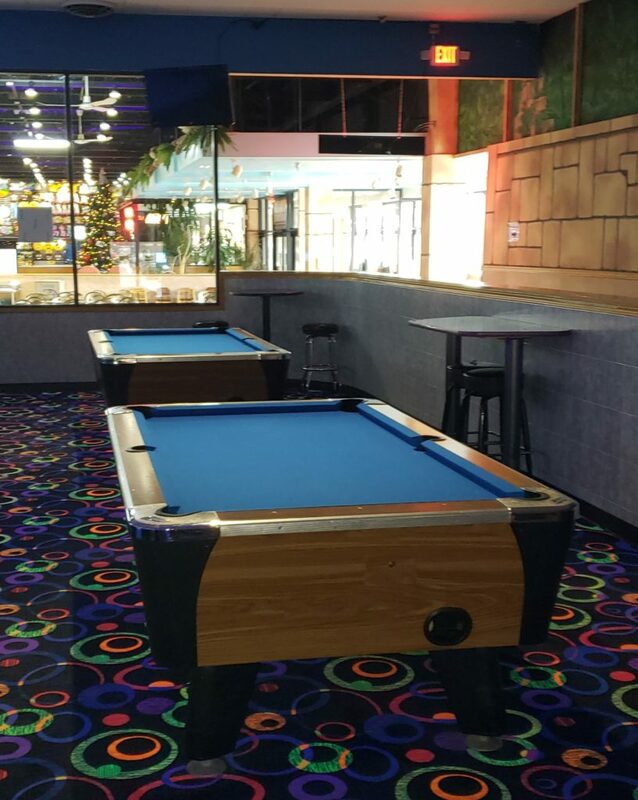 In addition to bowling, we also offer 4 billiards tables to those in search of the more “traditional” wildlife. So please sit back and be entertained while sipping on a drink from our full bar, or ordering an appetizer from our restaurant. Lanes are on a first-come, first-served basis. We only accept reservations for party or group packages. Be prepared to need socks to bowl – we also sell here. © 2018, Safari Land Indoor Amusement Park. All Rights Reserved.